Last month, we were pleased to bring our full 11-piece show band to the magnificent Palm Springs Convention Center for Allstate’s “Rock the Revolution” party. Attended by nearly 200 employees, the party took place in the ornate Primrose Ballroom, where guests were treated to a exquisite buffet spread, before settling in for a Grammy-style awards ceremony commemorating their workplace achievements. 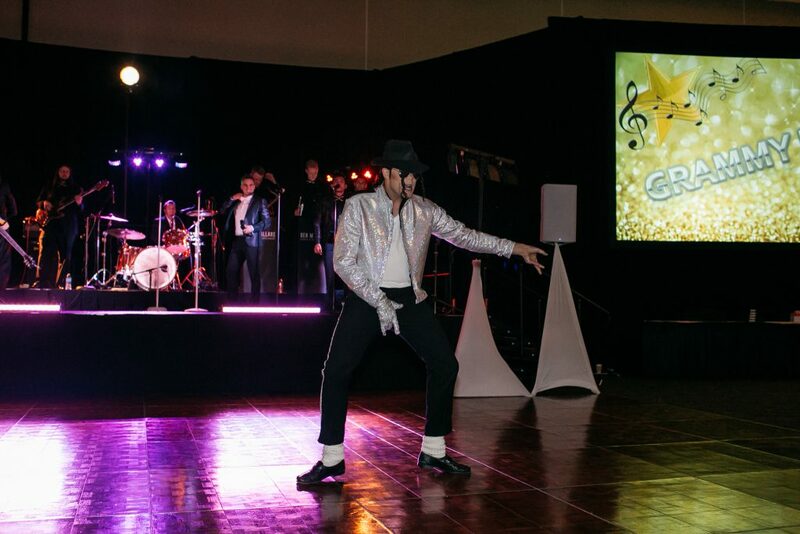 The celebration then commenced as a Michael Jackson impressionist took to the dance floor to our own MJ medley, starting with “Billie Jean”, “The Way You Make Me Feel”, and “PYT”. 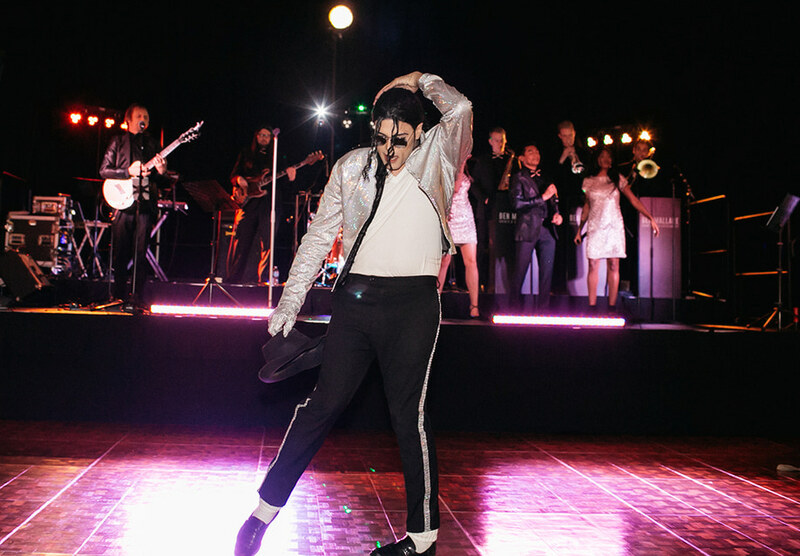 The King of Pop then invited the guests to join in on the fun, kicking off a dance competition, where guests shook it loose for a chance at some prizes. 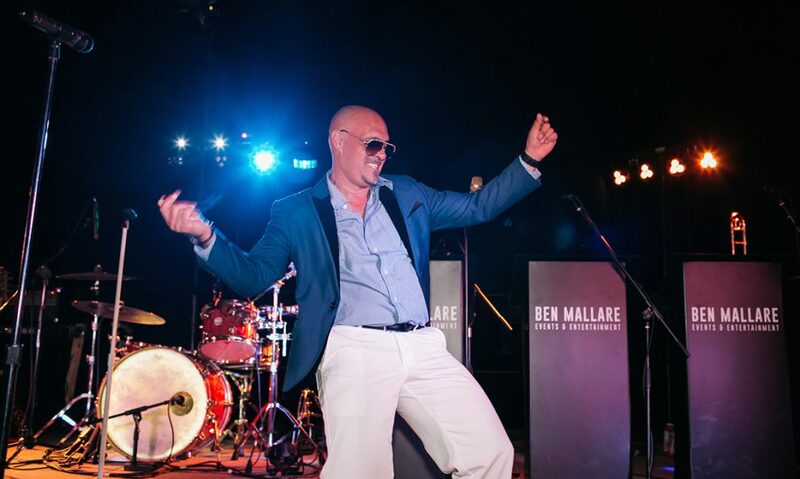 As the evening continued, our signature 10-piece band kept the floor alive and grooving with party hits old and new, from Earth, Wind & Fire’s “September” to hip-hop cuts like Bruno Mars’ “Finesse” and 2Pac’s “California Love”, led by one of our lead singers, Evan Saucedo. 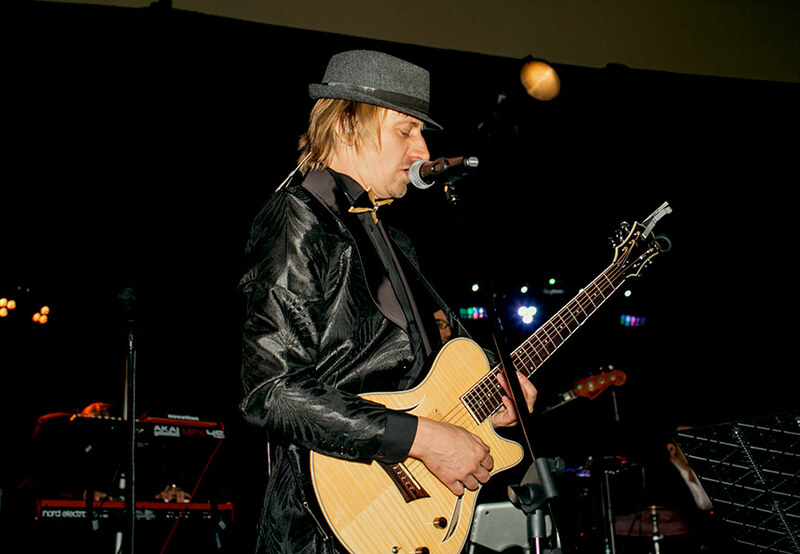 All in all, it was a night of smooth grooves and high spirits not to be forgotten any time soon. We look forward to our next occasion celebrating with Allstate! All photos courtesy of Josh Owens Photography. Article written by Symeon Tzvetkov. 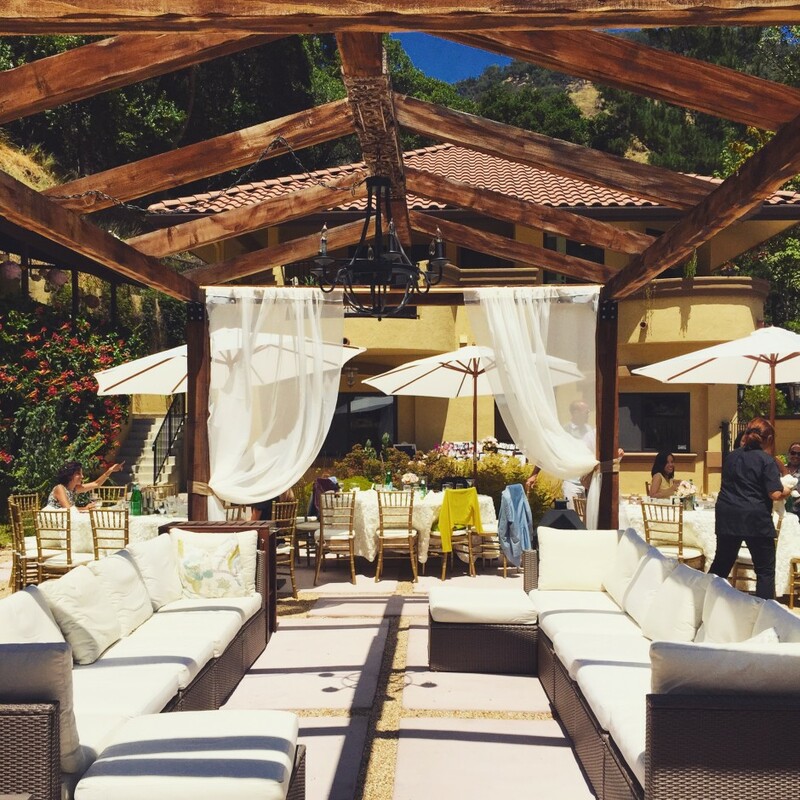 Our friends Jamie and Dan decided to throw a joint Bridal Shower for a newly engaged couple. 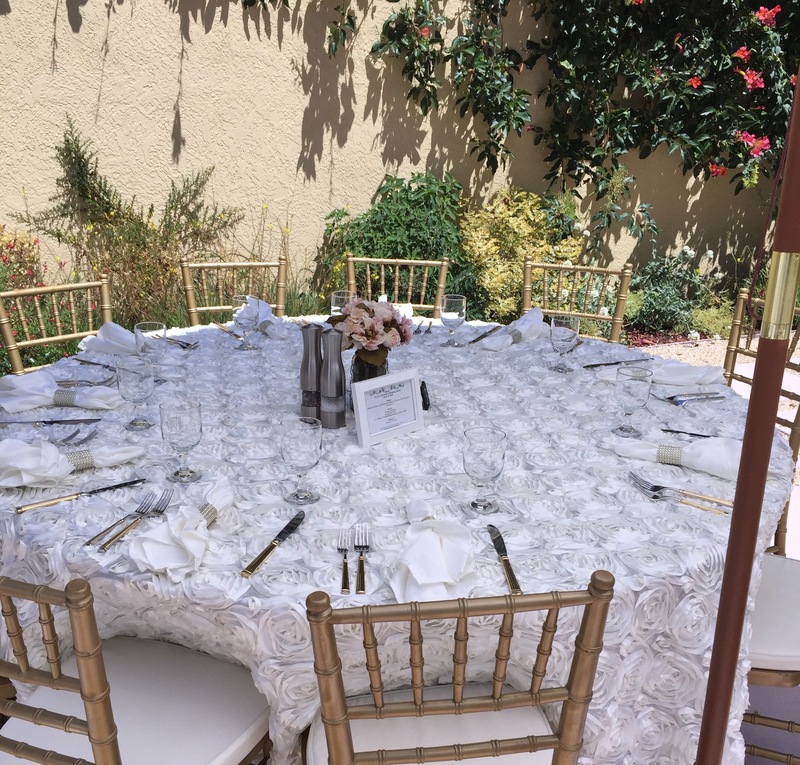 We have to admit, we’d never been part of an event like this before, but one of Jamie’s friends put it best as she took in the lavish setting – “Jamie is such a class act!” The event was both elegant and a ton of fun. Guests were welcomed to specialty cocktails handmade by Jamie’s close friends. As the live music began, guests made their way onto the patio where tables were set with white rose tablecloths and gold dining chairs. Lunch was served by Hosted by Annette Catering, a company Jamie loves and uses often. Following the meal (and a few more cocktails, of course), we kicked the music up a notch and really started the party. 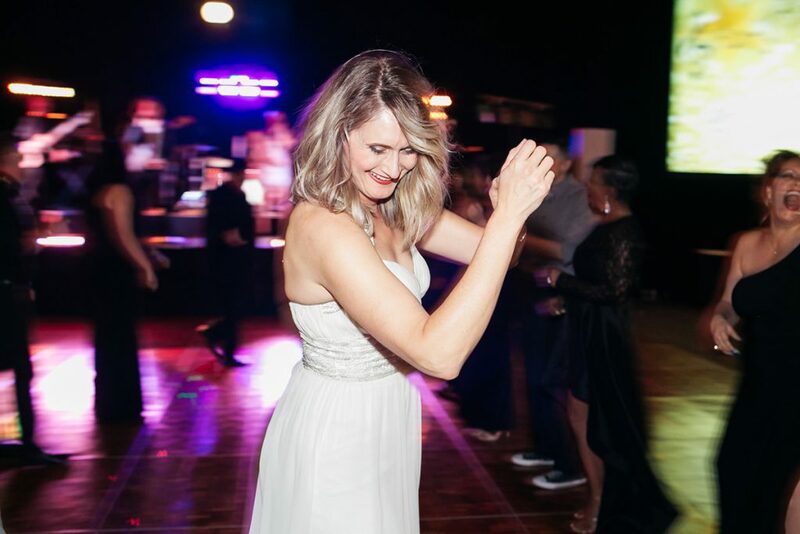 Guests danced to some of our new additions like “Shut Up And Dance” and “Honey I’m Good,” as well as some of our other favorite folk-pop songs that fit the mood perfectly. It was certainly an event to write home about! 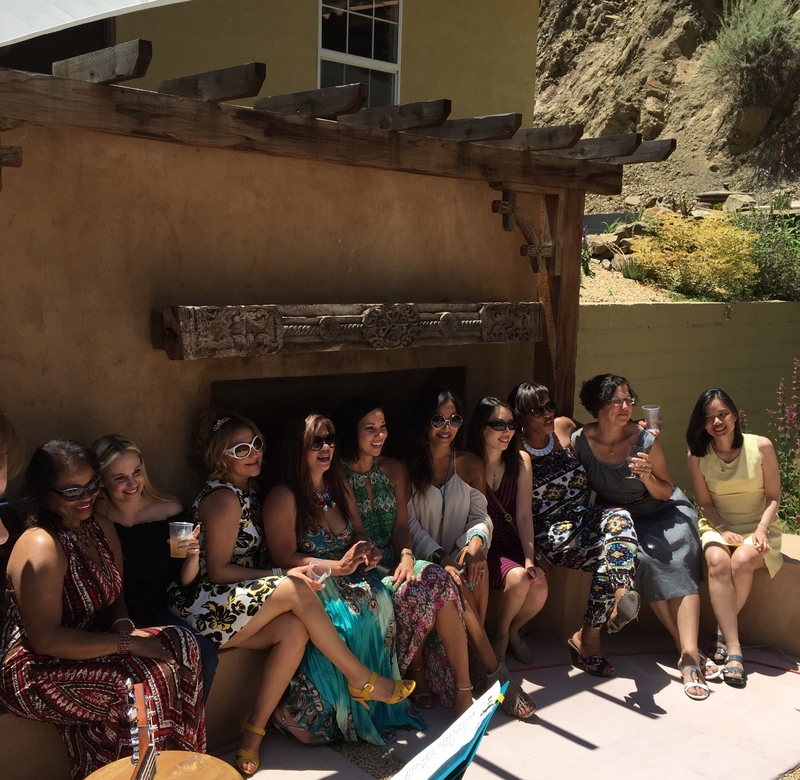 We loved our time with this wonderful group and cannot wait to celebrate with them again.